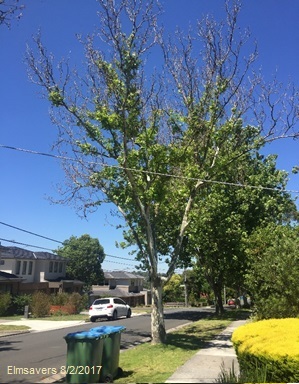 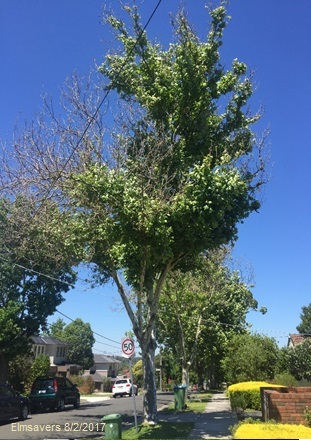 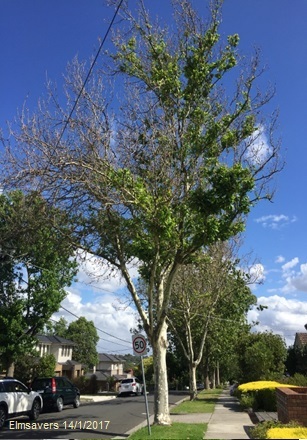 In 2016, we were called to treat two Plane trees in Ringwood, Victoria by the Maroondah City Council. 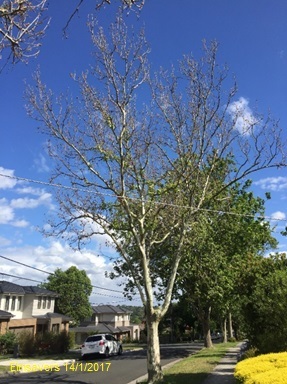 The suspected disorder was the Phytophthora-Anthracnose Disease complex. 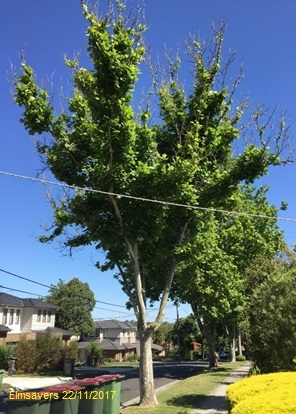 The delivery method chosen for this treatment was micro injection, which involves systemic elicitors injected directly into the active xylem to transport the chemistry within to all parts of the tree. 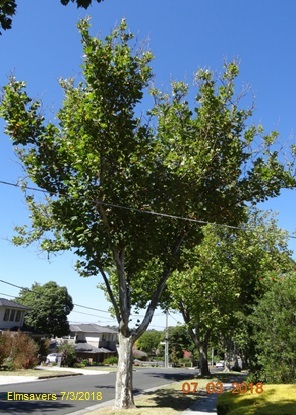 This treatment is bi-directional in both the xylem and phloem. 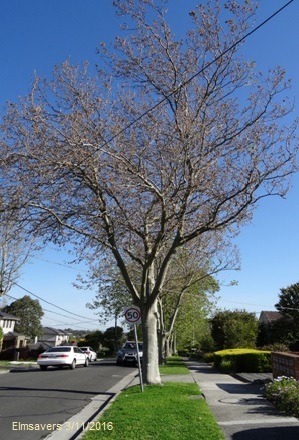 It is available all year round, environmentally safe, persistent and effective for two more years. 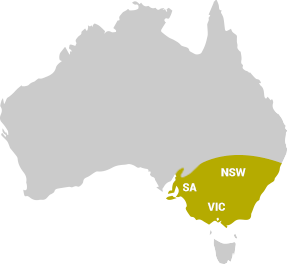 We used two different Multi Elicitor treatments for this trial project. 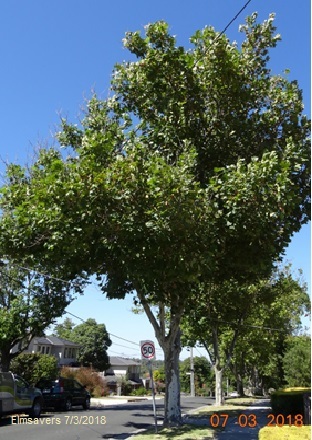 Elmsavers offers a wide range of treatment options for elm trees and other plants, including tree (or trunk) injection and canopy spraying. 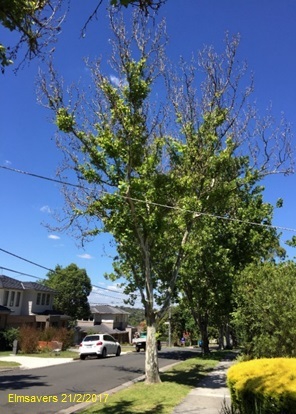 With over 25 years experience in horticultural and arboricultural pest and disease control, we are committed to seeing your trees to recovery. 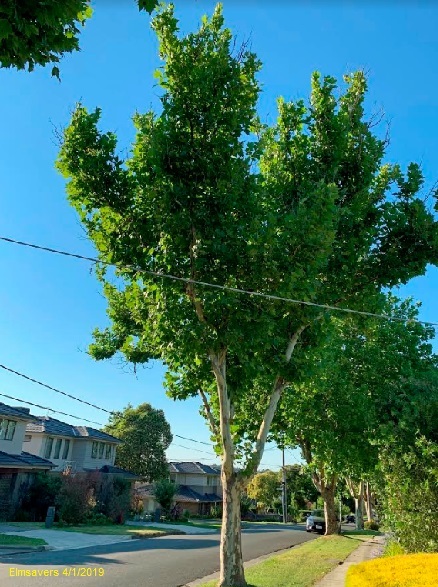 If you’re looking for successful treatment for your tree, fill in our enquiry form to get a free quote, or give us a call at 1300 356 728. 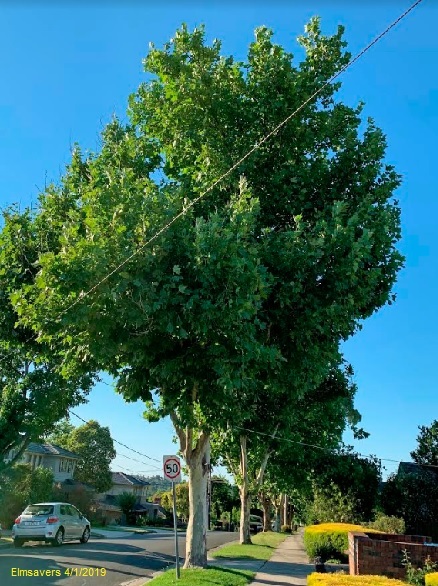 Previous Previous post: Beware of unscrupulous arborists!